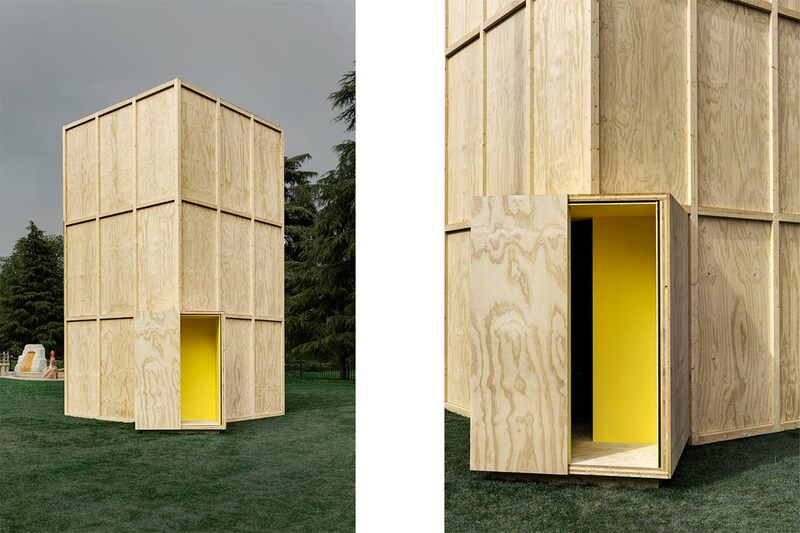 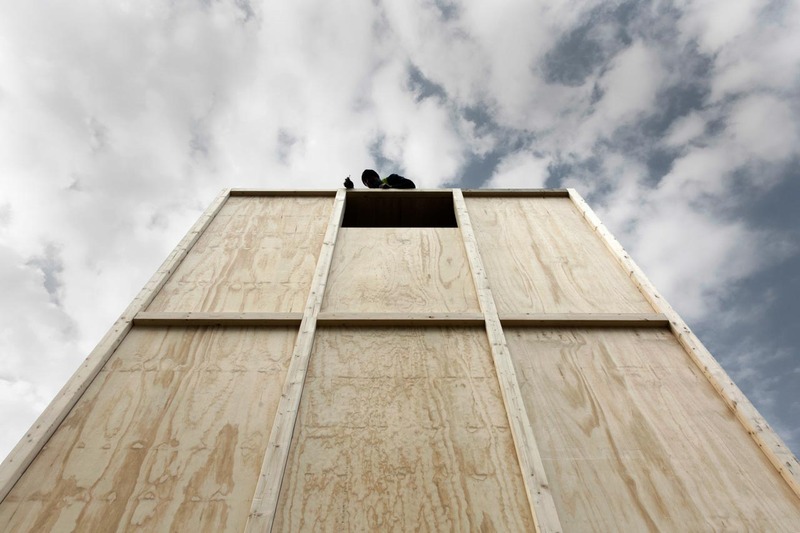 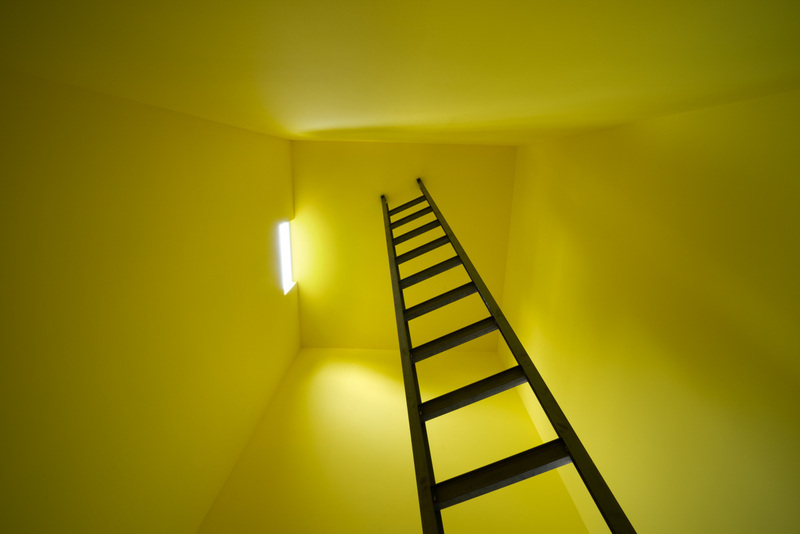 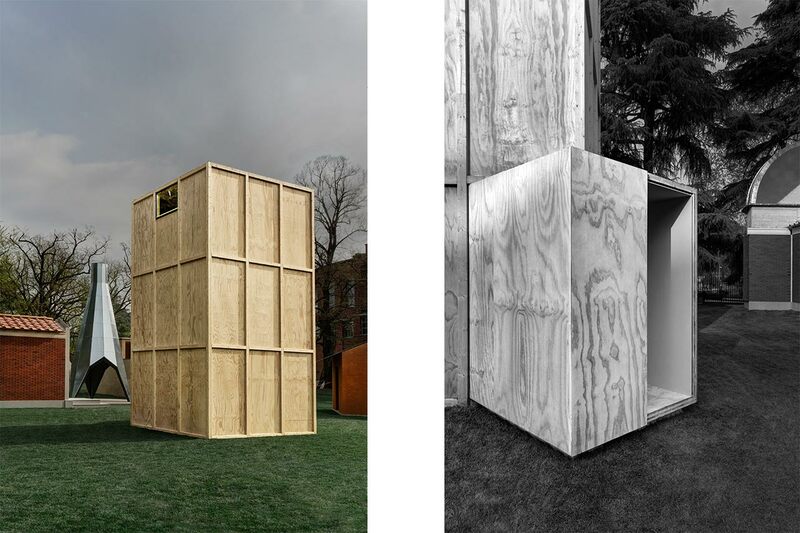 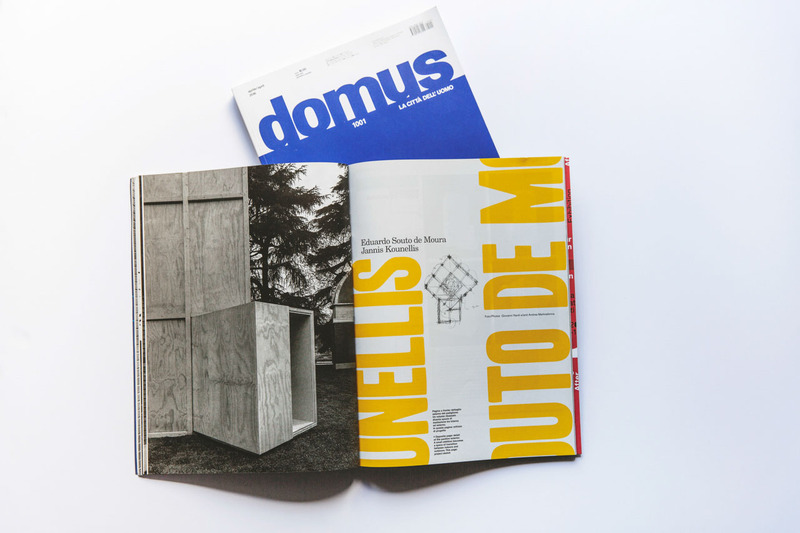 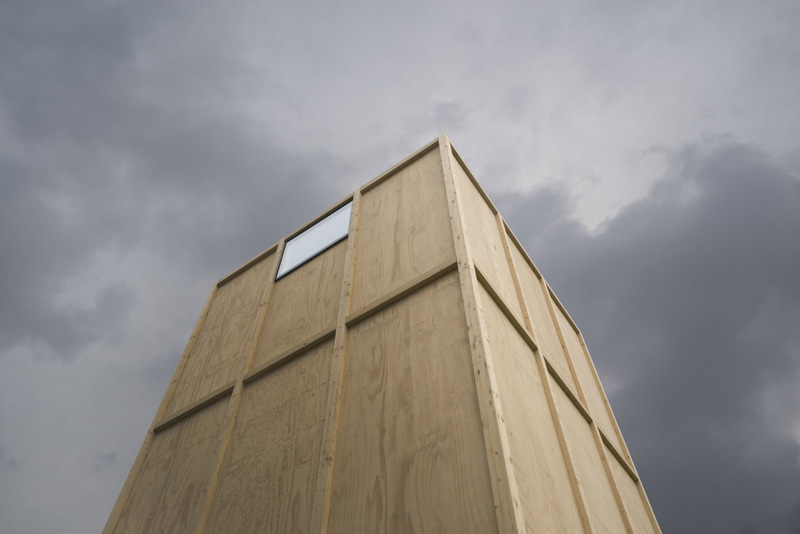 The image of the pavilion, the concept with which we began, is based on a wooden box used for the transportation of works of art, and this is in effect what houses the installation by the artist Jannis Kounellis. 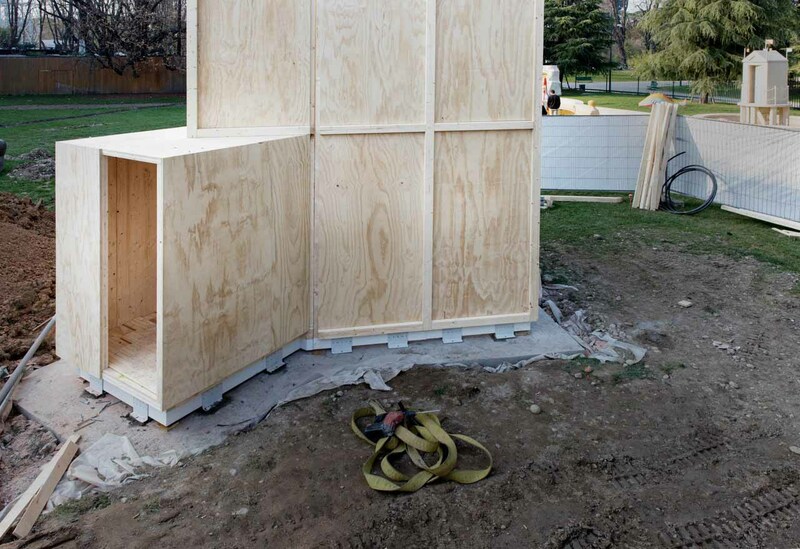 The box has been lined inside to cover up the joints and create a continuous surface, which has been painted lemon yellow on the request of the artist. 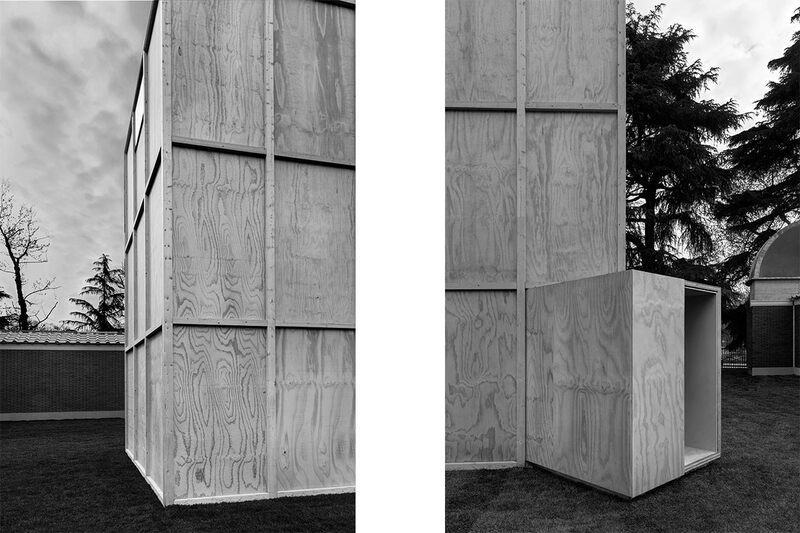 The entrance is indirect, blind, built in such a way that from outside one cannot see what is within, and vice versa. 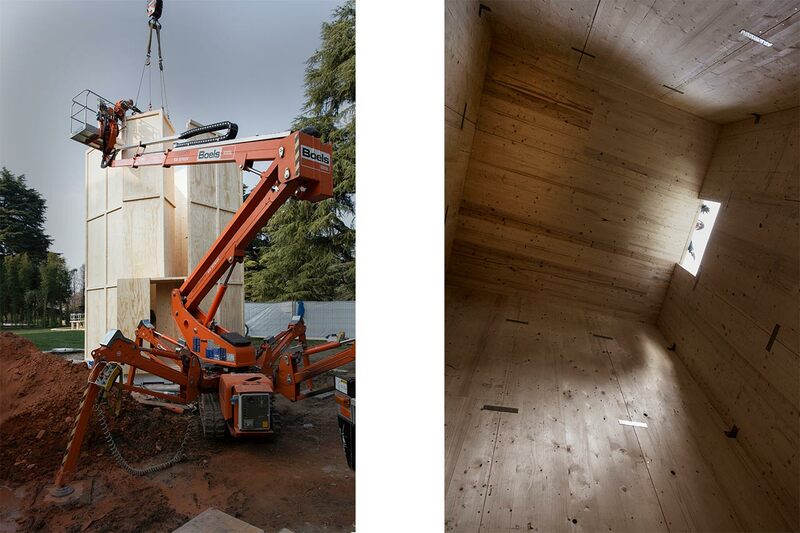 The proportions of the construction accentuate its verticality, a physical and mental condition of Western people.